Posted August 26, 2009 in Captain America, Cat Staggs. 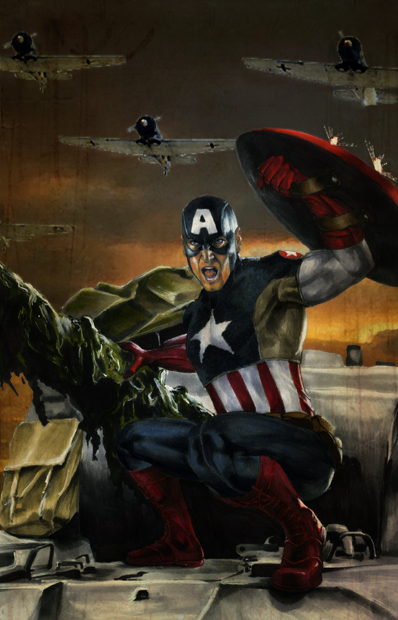 Captain America by Texas based artist Cat Staggs. Cat is best known for her association with LUCASFILM producing highly collectible trading cards and prints of the Star Wars galaxy. More of Cat’s work, including heroes from the Marvel and DC universes, can be found here and here.